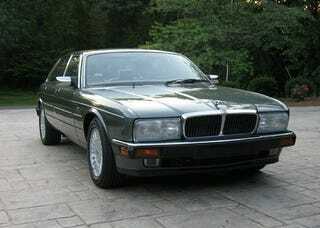 Of all the generations of the Jaguar XJ, I'd say the XJ40 has aged the most gracefully. A perfect balance of angles and curves. Stately without being overwrought. Despite its large size, it looks graceful and lithe parked next to the luxury sedans of today. Unfortunately, I hardly ever see them anymore, as most have gone to the scrap yard. The few I do see are usually peeling, faded, beat to hell, and sitting on sagging springs. The thought of buying an old XJ40 and restoring it to showroom spec is appealing, but surely a Project Car Hell if ever there was one.